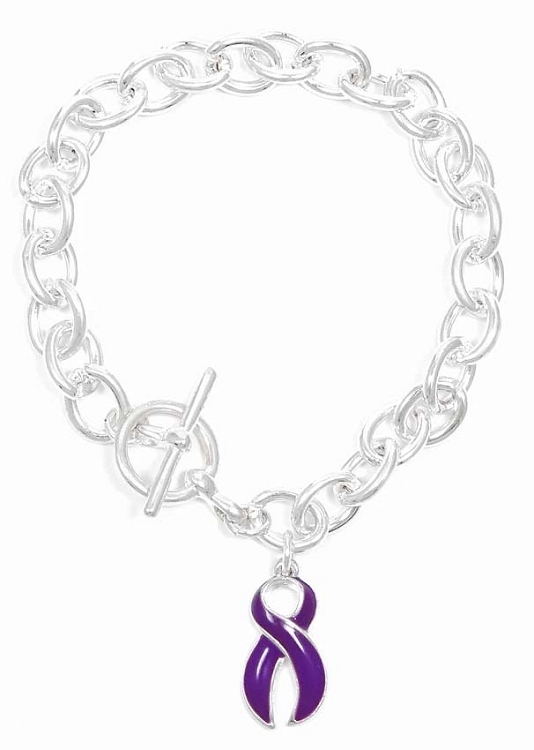 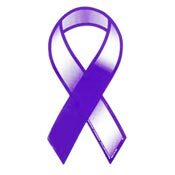 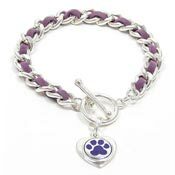 A simple silver chain and toggle style bracelet decorated with a purple ribbon charm. 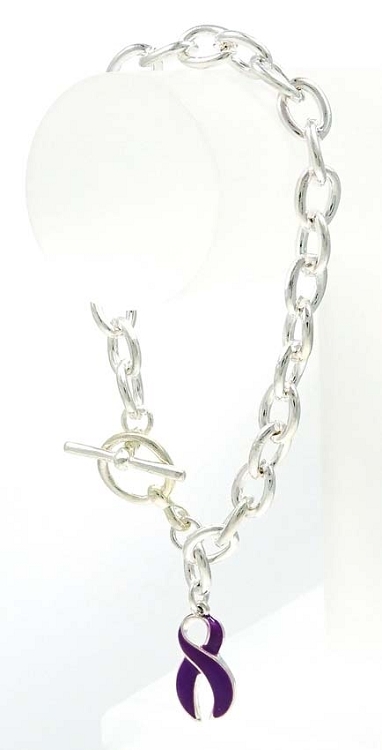 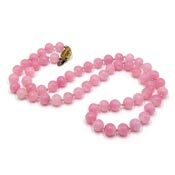 Wear it as is, or add more of your own charms to it later. 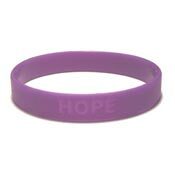 Will fit most wrists up to 6.5 inches.